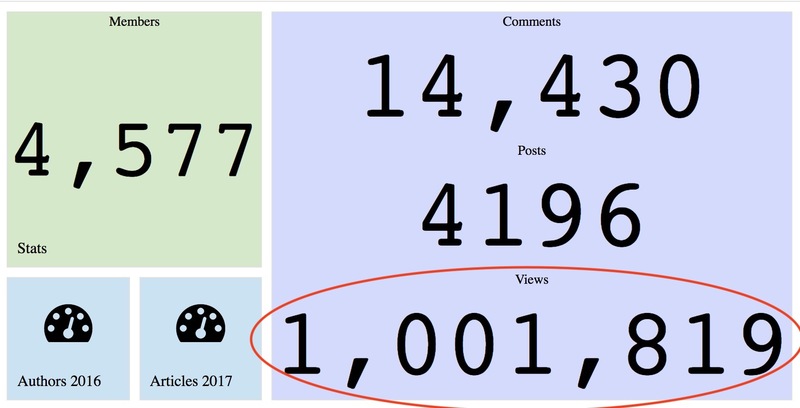 I'm happy to share with you that Developer Community is growing and Yesterday we reached a good milestone: 1,000,000 unique reads for articles and questions you contributed to InterSystems Developer Community. we have 4,577 registered members and every month we have more than 20K unique visitors which is 2 times more than last year. Every week there are 20 new questions about Intersystems Data Platform. We have more than 900 articles regarding InterSystems Data platform on Community today. You can examine other different stats on DC Analytics or even enhance it via contributing your dashboards.